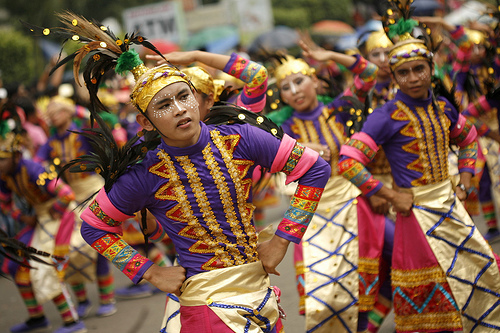 The Mantawi Festival is a yearly event celebrated every May 7 in Mandaue City, Cebu. The festival is a celebration of Mandaue’s rich cultural and historical heritage and its importance today as a commercial and industrial center in Cebu. Local historians say that the name Mantawi is a species of indigenous vine or tree that abundantly grew in a cove in the shores of Cebu when the explorer Ferdinand Magellan arrived in 1521. The Spaniards eventually built a settlement on the site of the cove that later became the village of Tipolo, which today is one of the barangays in Mandaue. Tipolo is the location of the first dry-docking facility in the country that serviced the galleons that carried the Philippines’ trade with other countries during the Galleon Trade from the 16th century to the early 19th century. The local government of Mandaue conceptualized the Mantawi festival in 2002 to commemorate the historical value and economic significance of the founding of Mandaue to the history of the province of Cebu. The activities of the festival include a grand parade of street dancers in colorful costumes and diorama floats showing the culture and history of Mandaue. The street dancers come from different elementary and high schools, barangays, and other organizations based in Mandaue and from other places in Cebu. A parade of giants made of paper, cardboard and carton showing the people who influenced the founding and growth of Mandaue is part of the parade. The culmination of the festival is the awarding of prizes to the winners of the competitions for street dancing and float display. After the awarding ceremonies at night, hundreds of people would go to the Mandaue Plaza to witness the annual grand fireworks display.